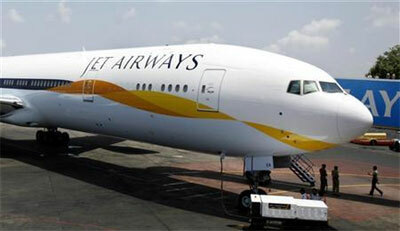 Jet Airways has joined the price war and has dropped one way fares on select routes to Rs 716. Jet's offer comes a day after SpiceJet slashed its fares in a four-day discount offer. Jet Airways too is offering one-way fares upwards of Rs 716 (exclusive of fees and taxes) on routes like Mumbai-Amhedabad, Bengaluru, Chennai, Hyderabad-Rajahmundry and Madurai-Chennai amongst others. Discounted fares are available on other routes as well. The discounted tickets of Jet Airways are available for sale till Thursday and are valid for travel between January 15 to April 12 next year. Discounts will enable airlines to push up forward bookings which is traditionally a weak quarter for air travel. This year, however, low fares have driven up demand and industry wide loads in first eleven months have been consistently upwards of 78 per cent. The highest loads of 87 per cent were reported in May.